An adult Kumlien's Gull has been present in Mount's Bay for several days. I eventually caught up with it today feeding round the sewerage works near the railway station. In addition there are several Glaucous Gulls, Iceland Gulls and Little Gulls in the county, no doubt appearing after the huge gales we've had in the last week or so. Kumlien's Gull is a rare visitor from the arctic region of Canada. 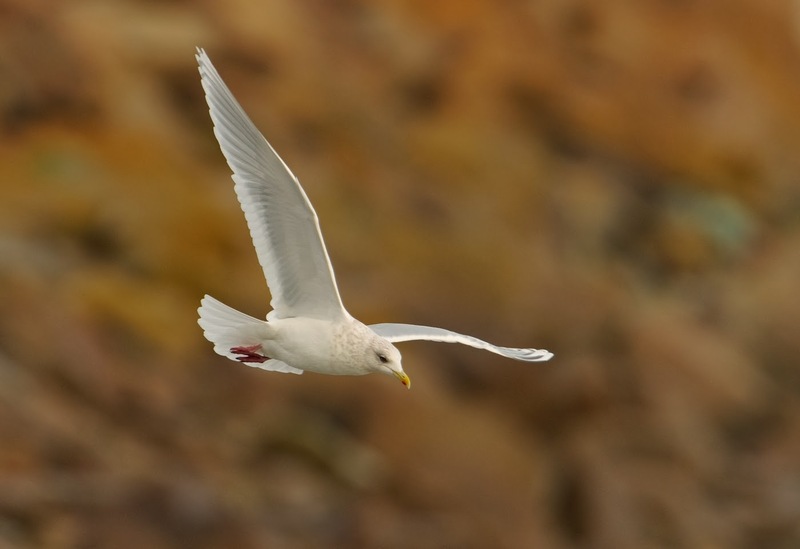 It has variably been considered a full species, a subspecies of Thayer's Gull, a subspecies of Iceland Gull and a hybrid between the aforementioned species. It is currently considered a subspecies of Iceland Gull by the American Ornithologists' Union. Approximate totals of high arctic gulls currently in the UK and Ireland are 90 Kumlien's, 75 Glaucous, 4 Ross's and in Galway, Ireland's first Slaty-backed Gull ! Nailed it Steve best image I have seen of it so far!